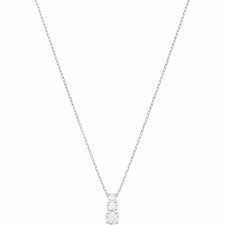 Swarovski’s Genius line is characterised by organic linear shapes and this stunning necklace features interlocking loops of white crystal pave. A feminine rhodium-plated look which is at once modern and timeless. 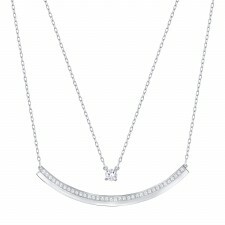 Easy to combine with other pieces for a touch of sparkle, day and night. A lovely gift for special occasion.